On October 31, 2018, Apple introduced the iPad Pro with full screen design and the first iPad with Face ID. For Apple, this is an experiment to put Face ID on the iPad, and you can see that Apple has the idea of ​​putting Face ID on more devices. Like Touch ID, Apple may also put Face ID into its own Mac series after the iPhone and iPad. When it comes to Mac Touch ID, it naturally reminds me of the Touch Bar that appears on the MacBook keyboard. 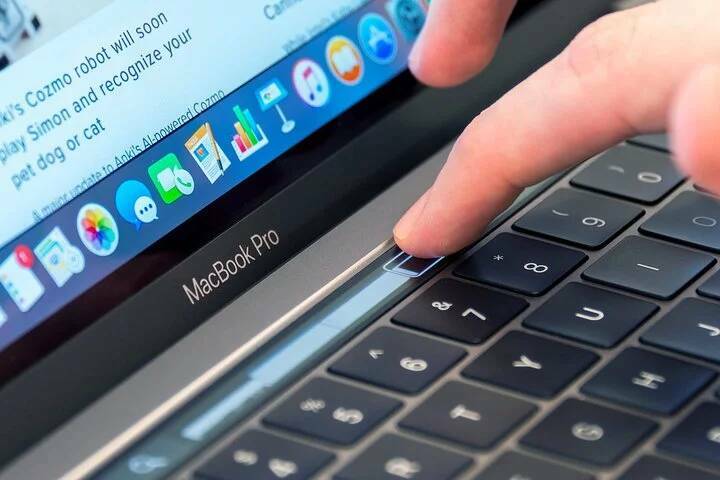 Instead of the F1~F12 and Fn function combination touch screen Touch Bar, you can switch between different control contents according to the application and the scene, such as the Touch Bar becomes a progress bar when watching a movie, and becomes a chute of an indicator when the picture is adjusted. For Apple, this is an understanding of the development of the keyboard. They want the keyboard to be more flexible. Even if the keyboard is reduced and the buttons are reduced, the keyboard carries more and more work, and it is better to be flexible. operating. Having said that, the Touch Bar is now only available in the mid to high-end MacBook Pro, and the Mac family has not yet. However, it is known from the recently exposed patent that Apple may introduce Face ID and Touch Bar to Mac series computers. 9to5Mac reported that Apple’s patents submitted in 2017 mentioned how to recognize face recognition on a Mac. The patent file said that Apple will add a feature in Power Nap that will allow the Mac to still start the camera for face recognition during sleep. At this time, the camera is executed with low power consumption and will not have much influence on the standby power consumption of the whole machine. When the camera detects that a face appears, it will be activated and recognized. When the Mac recognizes that it has been entered, it wakes up and the user can use it. The process does not require the user to wake up the computer, as long as it sits in front of the computer lens, the device is identifiable. This is similar to the iPhone’s use of Face ID, except that when the iPhone uses Face ID recognition, it also raises the phone to wake it up before it can be recognized. According to the description of the patent file, the Mac series computer does not need to wake up the computer after adding the Face ID, and the lens will maintain the low-power execution mode, and the face will automatically recognize when it appears. This is more suitable for the desktop device of the iMac, which is more convenient for users. In response to this technical design, Apple supplemented the patent documents submitted recently. According to Patently Apple reports , facial recognition technology to be used in Apple’s Mac, not the existing Face ID, but a “retinal scan” to identify. 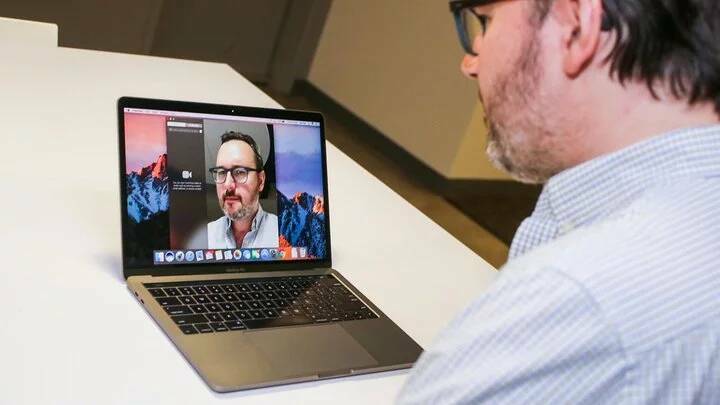 The security of this technology will be a little higher than the existing Face ID, ensuring that the Mac will not be misled by two similar people and will be unlocked incorrectly. Previously, it was pointed out that the existing Face ID will still be affected. Like two people with similar faces, such as twins, Face ID will occasionally identify errors and cause wrong unlocking. Apple may be based on this reason, intending to switch to a more secure identification technology. For users of products like iMac, Face ID is a more convenient unlocking solution than text passwords. If you just want to unlock or buy an app in the App Store, having a Face ID will save you the hassle of entering your password. However, long-term execution of the lens may also cause privacy issues, which is where Apple needs to weigh. In fact, it is not necessary to open the lens for a long time. If you use the keyboard or mouse to wake up the computer and then turn on the recognition, this process will not affect the efficiency too much, and the privacy problem will be reduced. For users, this solution may be better. Apple Patent File #86 points out that devices with Touch Bar can also use face recognition sensors with biometrics. This means that the Touch Bar and Face ID may coexist in the later launch of the Mac series. The MacBook Pro with Touch Bar may be added to the Face ID, and then the iMac may also have a version with both Touch Bar and Face ID. 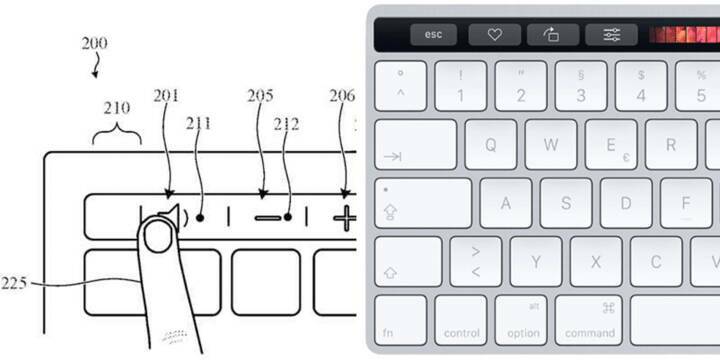 As early as 2017, Apple added the Touch Bar design to Magic Keyboard. As you can see from the 9to5Mac image , the Magic Keyboard’s Touch Bar is similar to the MacBook Pro in that it takes up the ESC key and the F1~F12 row of buttons. The Touch Bar extends to the digital keyboard, providing room for more features. Regardless of how it is achieved or how it is used, the Magic Keyboard’s Touch Bar is the same as the current one, and the keyboard design has not changed much. But if the size of the keyboard has not changed, and the same capacity of the battery is still used, the endurance of the keyboard is believed to be a new problem. However, the design patent is actually a solution that the manufacturer thinks when developing the product. It may not appear in the product, and the mass production time is also uncertain. Now I only know that Apple has the idea of ​​implementing Face ID and Touch Bar on Mac. As for how to do it, I still have to wait for Apple to answer it.